“There is a hope that this bill, by representing another show of cooperative government between Democrat Gov. Tom Wolf and the Legislature, will help disarm a tricky issue for Wolf’s 2018 re-election effort. “No unions are supporting Senate Bill 1, to be sure. “The actuarial note analyzing the legislation indicates there will be no pension system savings, and the risk-shifting within SB1 only matters should the systems incur significant investment shortfalls a couple decades from now. Those shortfalls, should they occur two to three decades from now, will still add more debt to our debt-ridden systems, it just won’t be quite as much added debt – the ‘historic’ savings we’re told SB1 would deliver would come at a significant cost. “It’s pretty clear passing anything with the title ‘pension reform’ has become the goal, not passing something that’s worth passing. Senate Bill 1 does not solve Pennsylvania’s pension problems. We will still have a$74 billion unfunded liability for current employees, and that number is likely to grow because there doesn’t seem to be the political will to address it. Furthermore, as Michigan illustrates, the hybrid plan can (and likely will) accumulate unfunded liabilities. Finally, the legislation permits current members of the General Assembly to continue to accrue their Cadillac pension benefits if they refuse to opt into the 401(k)-style system. Be sure to keep all of this in mind when you’re reading the news about the “historic” pension reform and hear about it from politicians seeking your vote. Taxpayers are still on the hook for a massive amount of money and current members of the General Assembly can continue to accumulate benefits making the matter worse. Some members of the Pennsylvania General Assembly continue to push a “hybrid” defined benefit (DB) and defined contribution (DC) plan as the solution to the Commonwealth’s pension problems. Senate Bill 1 is the latest iteration of this “reform” proposal. As we have previously noted, plan design changes for future employees will not address the current unfunded liability. The only way to address the unfunded liability is to modify the pension benefits for current employees or enact funding reform. Adjusting pension benefits for current employees would run into legal challenges, leaving funding reform as the more likely option. After switching to a hybrid plan, Michigan’s unfunded liability grew because lawmakers there relied on overly optimistic assumptions and continued to underfund the system. Using history as a guide, why should we think Pennsylvania would be any different? Our current unfunded liability is over $74 billion because politicians make promises and don’t have the will to pay for them. An unwillingness on the part of politicians to pay for their promises is not just a Pennsylvania problem, as noted in a recent column from Heritage Foundation analyst. 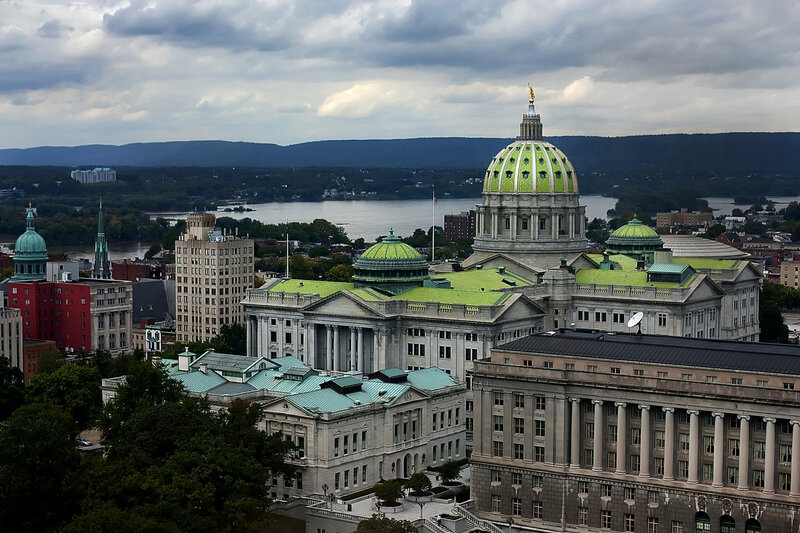 Harrisburg’s “long-gone” politicians increased government employees’ and teachers’ pensions by 25 percent in 2001; lawmakers increased their pensions by 50 percent at the same time. This act became law with a signature from Gov. Tom Ridge and illustrates that our pension problem is bipartisan in its origin. The only way to remove political gamesmanship from the equation is for the Commonwealth to adopt a straight 401(k) DC-type plan and enact pension reform to address our current unfunded liabilities. Leadership in the House and Senate like to point out that Governor Wolf wouldn’t sign legislation establishing a DC plan. If they were smart, they would put it on his desk anyway, let the Wolf veto it, and then work to elect a governor who would enact the kind of reform Pennsylvania needs. Please, take 30 seconds to email the General Assembly about pension reform. 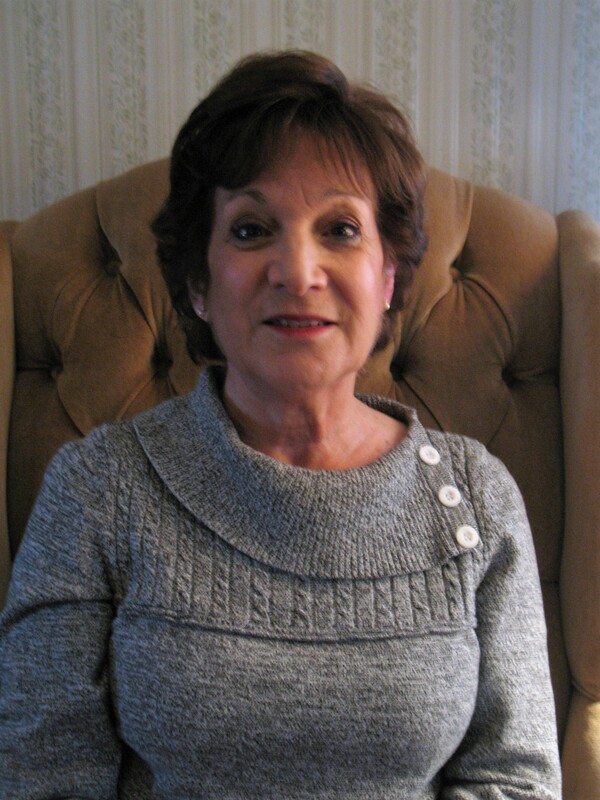 Author BillLawrencePosted on June 1, 2017 Categories Leo Knepper, Pension1 Comment on Pennsylvania Repeating Michigan Mistake? In 2012, former Senator Robert Mellow was sentenced to 16 months in prison, three years parole, and ordered to pay nearly $150,000 in fines and restitution. Now he wants his $20,000 per month pension back. 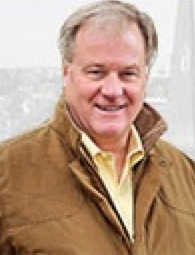 “Mellow, in his capacity as a state senator and the Democratic Leader during 2006 through 2010, conspired with others to misuse the staff and resources of the Pennsylvania Senate for political fund-raising and campaign purposes. “As part of the scheme, Mellow caused and knowingly permitted, through willful blindness, the submission to the chief clerk of the senate of false job classification and reclassification forms and memos for senate staff who performed political fundraising and campaign work while being compensated by the senate. Based on the emphasized text, it sounds like Mellow clearly violated the clause in the forfeiture law highlighting crimes “related to public office.” The state employee pension board will vote on whether or not to restore Mellow’s pension. Regardless of that decision, someone will be appealing it to the courts and judges will ultimately decide the fate of Mellow’s pension. We will keep you posted as the process moves forward, but you should not expect a speedy resolution. Last week the State Employee Retirement System (SERS) took a baby step toward reality and lowered their estimated return on investment (ROI). SERS moved their estimated ROI from 7.5 percent to 7.25 percent. The SERS change matches a move made by the other state-managed retirement fund, PSERS, last year. Adjusting the estimates added about $3 billion to Pennsylvania’s unfunded pension liabilities. These changes don’t go far enough, unfortunately. A 2014 “Blue Ribbon” report from the Society of Actuaries stated that the rate of return for public sector pension funds would be closer to 6.4 percent for the next 10 years. Actuarial assumptions may sound dull and boring. However, the assumptions that the state-run pension plans make in valuing their assets have real world consequences for taxpayers and reflect a major problem with the defined benefit (DB) model. Because the assumptions used to determine the value of the pension plan assets and liabilities are influenced by politics, it is easy for politicians to make generous promises and then make legal whatever flawed assumptions they want to use to improve the outlook. Furthermore, they can change the laws to purposely underfund pension contributions (something they’ve done twice in the last 15 years) to pass a “balanced” budget. By assuming an unreasonable ROI, SERS and PSERS are hiding over $15 billion in additional unfunded liabilities from taxpayers and lawmakers. An accurate picture of how challenging the pension funding situation is is a necessary part of discussing how to solve the problem. Imagine having a broken leg but asking a doctor to fix the problem using an x-ray of your arm, and that is what the state pension funds are doing by being overly optimistic about their ROI. No matter what pension plan design reforms the legislature enacts for future employees, the Commonwealth will still have a massive unfunded liability. The unfunded liability is the result of over-promising retirement benefits, poor investment performance, optimistic investment return assumptions, but mostly a willful redirection of necessary pension contributions by the Pennsylvania government to other purposes. This gross negligence on the part of elected officials has been bipartisan. It started with the 2001 pension increase signed into law (Act 9) by Governor Ridge and continued through the Rendell years when he signed legislation that purposefully underfunded the pension systems (Act 40 in 2003 and Act 120 in 2010). Decades of mismanagement have resulted in a combined unfunded liabilities currently estimated at over $75 billion, based on the market value of assets. The longer the unfunded liability persists, the worse it becomes. It’s helpful to look at the unfunded liability as a loan. The annual interest cost on this “loan” is over $5.4B per year. In other words, the unfunded liability grows year after year unless the payment made exceeds interest and the cost of newly earned benefits. And, just like any other loan we need to be making payments on the principal. When Act 120 was passed, the liabilities of PSERS exceeded the market value of its assets by $33.4 billion with a corresponding funding ratio of 57.8 percent. At the close of FY 2016, the PSERS unfunded liability was 50 percent larger at $50.1 billion with a funding ratio of 49.9 percent. Similarly, the liabilities of SERS exceeded the market value of its assets at the end of 2010 by $13.3 billion, with a corresponding funding ratio of 66.1 percent; five years later, the SERS unfunded liability had grown to $20.3 billion, with a funding ratio of 56.2 percent. There are likely scenarios where the pension assets will become exhausted in the next 8 to 15 years. When that happens, benefits paid to retirees may well consume 40 percent to 50 percent of the general fund. The consequences for our future only get worse as we delay dealing effectively with this problem. Unless funding reform like HB 778 is included with pension reform, it is unlikely that Pennsylvania will avoid this looming fiscal catastrophe. Every day the General Assembly does not act, the unfunded liability grows. HB 778 is currently in the House State Government Committee. Please, contact your representative today and urge them to take action. Most people have heard the term Ponzi scheme and have a vague sense that the victim of the scheme is getting ripped off. In an actual Ponzi scheme, early investors see a substantial return on their investment. What they don’t realize is that the money they are getting is money being put into the investment by new investors. The system continues working as long as enough new investors come in to pay the people who were there before them. The architect of the scheme, never admits that this is what is happening and eventually the system collapses. In other words, money coming in now is paying the unfunded liability; without that new money, we wouldn’t be able to pay people who are about to retire. When Comisac followed up with Rep. Markosek’s staff, they were quick clarify the statement and make sure that everyone knew that the Representative didn’t mean it was a legalized Ponzi scheme. “However, the claim that closing the current defined benefit plan, either to completely eliminate the DB plan for new employees or replace it for new employees with something like a 401(k)…would bring about the collapse of the closed DB [defined benefit] plan is simply ridiculous. “First, the systems are currently in a state of negative cash flow, meaning, just like Fox wrote, “the systems must liquidate assets to pay bills,” and that’s with no closing of the plans or changes by SERS and PSERS to their pension assumptions – just the bad funding policies the systems currently employ. “Second, closing the system doesn’t limit cash flow into the system any more than it’s currently being limited by not closing the system. “If the DB plans were closed, the people in that plan at the time of closure would continue to contribute to their plan (as well as their employer on their behalf), with no additional funding needed from any of the people to be hired in the future who would be in a different retirement plan. That last part is why CAP has been adamantly opposed to a “hybrid” pension plan that combines defined benefit (DB) and defined contribution (DC) elements. Some politicians and government union officials bring up the specter of “transition costs” as a reason to avoid switching to a pure 401k style DC plan. They’ve never once given an example of a private sector employer citing transition costs as a reason to keep offering pensions. A DC plan is the best way to protect beneficiaries and taxpayers. As long as there is a DB plan, politicians will control what constitutes fully funding and what assumptions are made to determine liability. There is nothing to stop the General Assembly from making politically-driven assumptions about return on investment, life expectancy, and other factors that impact the liability. The further politicians deviate from reality in an attempt to enrich themselves and other government employees, the more likely it is that the money won’t be there to pay for their promises. Promising a lavish retirement is much more likely to get you votes than paying for it will. And, that bill is coming due. A House and Senate conference committee in the Pennsylvania Legislature is taking another shot at pension reform. In keeping with the Halloween spirit, they have resurrected their hybrid pension proposal one more time in an attempt to achieve “pension reform” by decree. Unfortunately, this over-engineered proposal with many exempted employee groups will likely offer insignificant savings when measured in today’s dollars and by itself will do nothing to address the ever-increasing unfunded liability. The “everything will be fine” 30-year scenario touted by some, should be tempered by others who reference the risk of plan insolvency occurring over the next 15 to 20 years. In fact, CAP continues to seek a single example in the US private-sector where such a similar plan design arrangement exists. As we’ve noted on multiple occasions, the hybrid plan does not offer any meaningful protection for taxpayers particularly since the defined-benefit plan can always be retroactively increased. The House has been trying to sell this bad plan design since 2014. Every iteration since that time has gotten progressively worse. The “new and improved” stacked hybrid plan is no exception. As noted, this proposal does not address the $60+ billion in unfunded pension liabilities that currently saddle taxpayers. Furthermore, it is unlikely that the “reforms” in the pension proposal will include changes to how funds are managed and the annual expected rate of return assumption. Pennsylvania’s pension plans assume a 7.5 percent annual rate of return (PSERS adjusted their expectations to 7.25 percent starting in July). In an attempt to meet this optimistic goal, the pension plans use active fund managers instead of investing in index funds or other passive management strategies. Using active fund managers costs taxpayers $750 million per year. Last year that cost resulted in a 0.4 percent return for PSERS and a 1.29 percent return for SERS. Underwhelming returns on investments and chronic underfunding of the pension plans and benefit improvements by politicians have created a mess for taxpayers in the form of massive unfunded liabilities. The pension reform proposals being bandied about do nothing to address those problems, nor do they adequately protect taxpayers. Instead, the conference committee’s Rube Goldberg reform proposal gives politicians the ability to tell voters that they “did something.” Pennsylvania’s current and future taxpayers who will be tasked with bailing out the system deserve real reform; not smoke and mirrors. For those policymakers seeking a straightforward comprehensive solution to our ongoing pension woes, you should go no further than to read our recent blog post which highlights a recent op-ed authored by actuary Richard C. Dreyfuss.